Caspar (or Gaspar) Netscher (1639 – January 15, 1684) was a Dutch portrait and genre painter. He was a master in depicting oriental rugs, silk and brocade and introduced an international style to the Northern Netherlands. According to Arnold Houbraken's 17th-century biographical study of Dutch painters he was born in Heidelberg or Prague. His father Johann Netscher was a sculptor from Stuttgart. The elder Netscher married Elizabet Vetter, the daughter of a mayor in Heidelberg, against her father's wishes. He died in Poland  when Caspar was two years of age. It has been suggested that Caspar may have been the son of a Rotterdam painter. 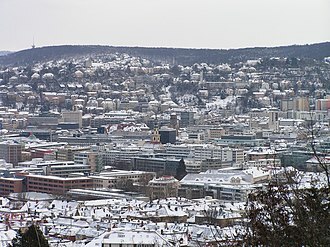 When Heidelberg was attacked during the civil war, Caspar's mother fled with four children to an estate outside the city. When the castle was laid under siege, the people there suffered from hunger and Caspar's two older brothers died. Caspar's mother fled in the night, carrying the young Caspar in her arms and with her young daughter on foot, staying at almshouses for widows and orphans. 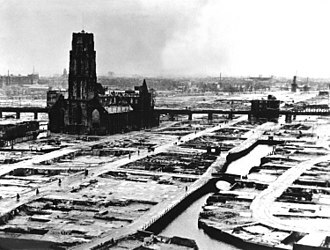 They travelled in this way to Arnhem, where they finally found safe quarter. In Arnhem Caspar was adopted by a rich physician named A. Tullekens. At first he was destined for the profession of his patron, but owing to his great aptitude for painting he was placed under a local artist named Hendrick Coster, and through the acquaintance of Wynant Everwyn in 1654, who had family connections to Tullekens, he became a student of Ter Borch in Deventer. He was Ter Borch's most gifted pupil, probably worked as an assistant as well and he appears several times as a model on Ter Borch's paintings. When he came of age, he first worked for the Dutch "keelbeulen" (Houbraken called art dealers "cutthroats") until he had enough money to make a grand tour. In 1658 he set out for Italy to complete his education, booking passage on a ship to Bordeaux with letters of introduction from Tullekens for his cousin Neny there. From Bordeaux he planned to proceed overland to Italy. However, while in Bordeaux he met the mathematician and fountain designer Godijn, and married his daughter Margaretha Godijn on 25 November 1659, which halted his progress to Rome. In Bordeaux he toiled hard to earn a livelihood by painting small cabinet pictures which are now highly valued on account of their exquisite finish. Fearing the persecutions of Protestants, after his son was born he moved back North to The Hague in 1662, and turned his attention to portrait-painting. In this branch of his art was more successful. In 1668 he joined the Schutterij and Cosimo III de' Medici, traveling through the Netherlands bought four paintings. It is likely that Netscher knew the painters Frans van Mieris, Sr. (1635?-1681) and Gerard Dou, but it is certain that he knew the painter Gerrit de Hooch from The Hague as his wife gave her name to Gerrit's new born daughter Margarita in 1676, the event being witnessed by Caspar as well as his wife. He was patronized by William III, and his earnings soon enabled him to gratify his own taste by depicting musical and conversational pieces. It was in these that Netscher's genius was fully displayed. The choice of these subjects, and the habit of introducing female figures, dressed in glossy satins, were imitated from Ter Borch; they possess easy yet delicate pencilling, brilliant and correct colouring, and pleasing light and shade; but frequently their refinement passes into weakness. The painter was gaining both fame and wealth when he began to suffer from gout and took to his bed, where he continued to paint lying down and died prematurely in 1684, in The Hague. His sons Constantyn (1668–1722), and Theodorus (1661–1732), were also painters after their father's style, who Houbraken meant to include in his 4th volume of painters. He was also the father of Anthonie Netscher who emigrated to Batavia. According to the RKD, his registered pupils in the Confrerie Pictura besides his three sons were Johannes van den Brande, Otto Brandt, Olivier van Deuren, Jacob van der Does the younger, Van Hardenbroeck, Daniël Haringh, Mouritz van der Linden, J. Spick, Jan Tilius and Aleida Wolfsen. ^ Liedtke, W. (2007) Dutch Painting in the Metropolitan Museum of Art, p. 517. ^ a b c d e Chisholm 1911, p. 421. ^ Liedtke, W. (2007) Dutch Painting in the Metropolitan Museum of Art, p. 518. ^ "Discover print artist, painter, draftsman Caspar Netscher". rkd.nl. This article incorporates text from a publication now in the public domain: Chisholm, Hugh, ed. (1911). "Netscher, Gaspar" . Encyclopædia Britannica. 19 (11th ed.). Cambridge University Press. p. 421. Christiaan Huygens, FRS was a prominent Dutch mathematician and scientist. He is known particularly as an astronomer, physicist and horologist, Huygens was a leading scientist of his time. His work included early telescopic studies of the rings of Saturn and the discovery of its moon Titan and he published major studies of mechanics and optics, and pioneered work on games of chance. Christiaan Huygens was born on 14 April 1629 in The Hague, into a rich and influential Dutch family, Christiaan was named after his paternal grandfather. His mother was Suzanna van Baerle and she died in 1637, shortly after the birth of Huygens sister. The couple had five children, Christiaan, Philips, Constantijn Huygens was a diplomat and advisor to the House of Orange, and a poet and musician. His friends included Galileo Galilei, Marin Mersenne and René Descartes, Huygens was educated at home until turning sixteen years old. He liked to play with miniatures of mills and other machines and his father gave him a liberal education, he studied languages and music and geography, mathematics and rhetoric, but dancing and horse riding. 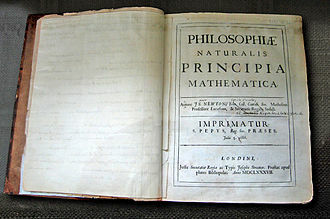 In 1644 Huygens had as his mathematical tutor Jan Jansz de Jonge Stampioen, Descartes was impressed by his skills in geometry. His father sent Huygens to study law and mathematics at the University of Leiden, Frans van Schooten was an academic at Leiden from 1646, and a private tutor to Huygens and his elder brother, replacing Stampioen on the advice of Descartes. Van Schooten brought his mathematical education up to date, in introducing him to the work of Fermat on differential geometry. Constantijn Huygens was closely involved in the new College, which lasted only to 1669, Christiaan Huygens lived at the home of the jurist Johann Henryk Dauber, and had mathematics classes with the English lecturer John Pell. He completed his studies in August 1649 and he had a stint as a diplomat on a mission with Henry, Duke of Nassau. It took him to Bentheim, Flensburg and he took off for Denmark, visited Copenhagen and Helsingør, and hoped to cross the Øresund to visit Descartes in Stockholm. 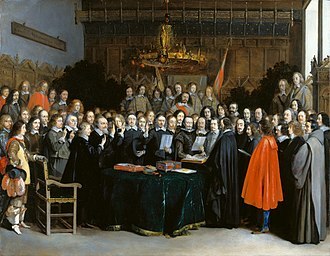 While his father Constantijn had wished his son Christiaan to be a diplomat, in political terms, the First Stadtholderless Period that began in 1650 meant that the House of Orange was not in power, removing Constantijns influence. Schutterij refers to a voluntary city guard or citizen militia in the medieval and early modern Netherlands, intended to protect the town or city from attack and act in case of revolt or fire. Their training grounds were often on open spaces within the city, near the city walls and they are mostly grouped according to their district and to the weapon that they used, crossbow or gun. Together, its members are called a Schuttersgilde, which could be translated as a shooters guild. It is now a title applied to ceremonial shooting clubs and to the countrys Olympic rifle team, the schutterij, civic guard, or town watch, was a defensive military support system for the local civic authority. Its officers were wealthy citizens of the town, appointed by the city magistrates and its captain was usually a wealthy inhabitant of the district, and the groups ensign was a wealthy young bachelor. Joining as an officer for a couple of years was often a stepping-stone to other important posts within the city council, the members were expected to buy their own equipment, this entailed the purchase of a weapon and uniform. Each night two men guarded their district in two shifts, from 10,00 p. m. until 2,00 a. m. at a set time each month, the schutters would parade under the command of an officer. 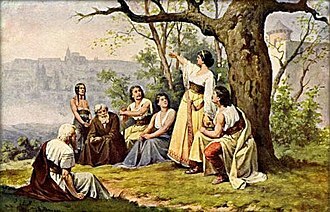 The ideal was that, for every hundred inhabitants, three would belong to the schutterij, the Dutch Mennonites were excluded from a position in the schutterij in the 16th, 17th and 18th centuries and paid a double tax in lieu of service. Roman Catholics were permitted in the lower regions, persons in the service of the city, and the citys Jews, did not need to serve. The beer and peat bearers had to serve as the towns firefighters instead, the schutters or cloveniers met at target practice grounds called Doelen. These fields were generally adjoining a building where they met indoors for gymnastic exercises. It was in great halls where the large group portraits hung for centuries. These locations were not the place the schutters met each other. These guilds kept altars in churches, where they met for religious reasons. Most schutterij guilds had as patron saints Saint Sebastian, Saint Anthony, Saint George and these religious duties were a significant part of the guild membership since that is where they paid their dues. The Confrerie Pictura was a more or less academic club of artists founded in 1656 in The Hague, by local art painters, who were unsatisfied by the Guild of Saint Luke there. The guild of St. Lukes altar, after the Protestant Reformation, this all changed, and the churches were no longer a part of guild life. With the altarpieces gone that had traditionally been the public signboard for the artists, in addition, with the influx of talented painters from the Southern Netherlands cities such as Antwerp, the guild fathers felt that more protective measures were necessary. 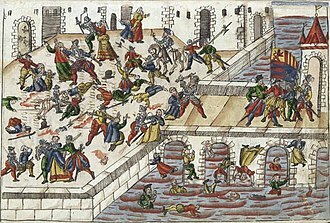 When securing a new charter for the St. Lukes guild failed to have the desired effect. They were led by the first deacon and popular Hague portrait painter Adriaen Hanneman, the goal of the Confrerie Pictura was to protect the Hague painters and to reinforce ties between its members. Everyone working as a painter in The Hague was obliged to be a member of the Confrerie, guilds installed strict rules to restrict what was seen as unfair trading, but obliged its members to attend the funerals of its members for instance. Genre art is the pictorial representation in any of various media of scenes or events from everyday life, such as markets, domestic settings, parties, inn scenes, and street scenes. 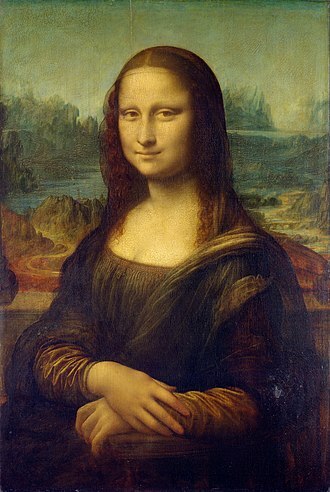 Such representations may be realistic, imagined, or romanticized by the artist, some variations of the term genre art specify the medium or type of visual work, as in genre painting, genre prints, genre photographs, and so on. Rather confusingly, the meaning of genre, covering any particular combination of an artistic medium. 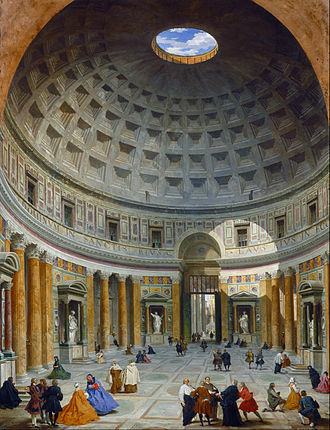 Painting was divided into a hierarchy of genres, with painting at the top, as the most difficult and therefore prestigious. 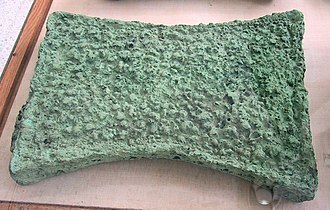 But history paintings are a genre in painting, not genre works, the following concentrates on painting, but genre motifs were extremely popular in many forms of the decorative arts, especially from the Rococo of the early 18th century onwards. Single figures or small groups decorated a huge variety of such as porcelain, wallpaper. Genre painting, called genre scene or petit genre, depicts aspects of life by portraying ordinary people engaged in common activities. A work would often be considered as a genre work even if it could be shown that the artist had used a known member of his family. 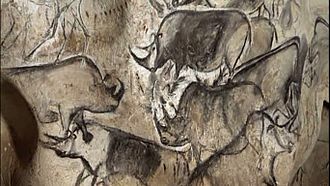 In this case it would depend on whether the work was likely to have intended by the artist to be perceived as a portrait—sometimes a subjective question. The depictions can be realistic, imagined, or romanticized by the artist, because of their familiar and frequently sentimental subject matter, genre paintings have often proven popular with the bourgeoisie, or middle class. Genre themes appear in all art traditions. These were part of a pattern of Mannerist inversion in Antwerp painting, giving low elements previously in the background of images prominent emphasis. 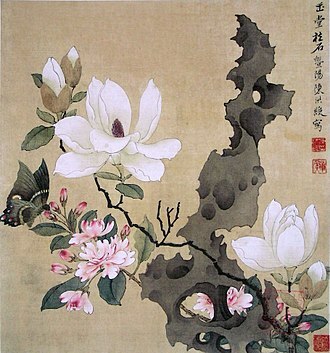 The generally small scale of these paintings was appropriate for their display in the homes of middle class purchasers. Often the subject of a painting was based on a popular emblem from an Emblem book. The merry company showed a group of figures at a party, other common types of scenes showed markets or fairs, village festivities, or soldiers in camp. In Italy, a school of painting was stimulated by the arrival in Rome of the Dutch painter Pieter van Laer in 1625. Mary II was joint monarch of England and Ireland with her husband and first cousin, William of Orange, from 1689 until her death. William became sole ruler upon her death in 1694, popular histories usually refer to their joint reign as that of William and Mary. Mary wielded less power than William when he was in England, ceding most of her authority to him and she did, act alone when William was engaged in military campaigns abroad, proving herself to be a powerful and effective ruler. Mary, born at St Jamess Palace in London on 30 April 1662, was the eldest daughter of James, Duke of York, and his first wife, Anne Hyde. She was baptised into the Anglican faith in the Chapel Royal at St Jamess and her godparents included her fathers cousin, Prince Rupert of the Rhine. Although her mother bore eight children, all except Mary and her younger sister Anne died very young, for most of her childhood, Mary was second in line to the throne after her father. The Duke of York converted to Roman Catholicism in 1668 or 1669, Marys education, from private tutors, was largely restricted to music, drawing and religious instruction. Her mother died in 1671, and her father remarried in 1673, taking as his second wife Mary of Modena, from about the age of nine until her marriage, Mary wrote passionate letters to an older girl, Frances Apsley, the daughter of courtier Sir Allen Apsley. In time, Frances became uncomfortable with the correspondence, and replied more formally, at the age of fifteen, Mary became betrothed to her cousin, the Protestant Stadtholder of Holland, William of Orange. William was the son of the Kings late sister, Princess Royal, and thus fourth in the line of succession after James and Anne. The Duke of York agreed to the marriage, after pressure from chief minister Lord Danby and the King, when James told Mary that she was to marry her cousin, she wept all that afternoon and all the following day. William and a tearful Mary were married in St Jamess Palace by Bishop Henry Compton on 4 November 1677, Mary accompanied her husband on a rough sea crossing back to the Netherlands that month, after a delay of two weeks caused by bad weather. 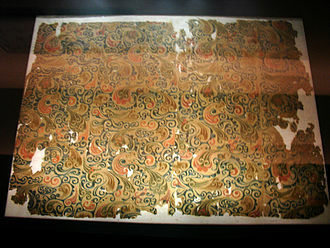 Border of the Pazyryk Carpet, circa 400 BC. De Magere Compagnie ("The Meagre Company"), a schutterstuk for one of the Amsterdam guilds by Frans Hals and Pieter Codde, painted in 1633-37. Above the door: "In 1572 the Spanish enemy came here to treat us the same way as Naarden. We withstood him, fighting bravely, but from hunger we had to give up." 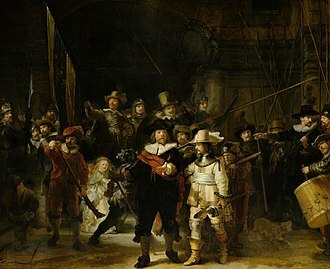 Rembrandt's The Night Watch shows a schutterij moving out. The Boterwaag on the Prinsegracht in Den Haag. The leftmost side was the original building from 1650 with the swan above the door. The painters moved in when the butter weighing moved to the larger right side extension. Koorenhuis on Prinsegracht 27, built in 1662-1663, now an arts center, only the facade and hall remain of the original building.